Along with talks of budgets and costs, there has been a question as whether economics are the true motives of the BBC. 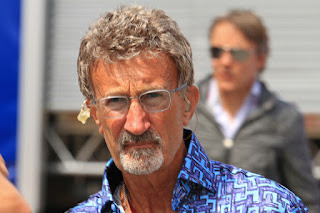 Eddie Jordan pointed out that to cancel the contract BBC would have to pay a hefty penalty, money which could have gone to a dignified last season hurrah. In 2015 the Grand Prix Drivers' Association (GPDA) conducted a huge survey of petrol heads as to their thoughts on the current state of Formula 1. 'Boring', 'Technological' and 'Expensive' were just a few of the complaints in a seemingly growing list levelled at the sport. Formula 1 has always had to answer questions on the entertainment value, but with Lewis Hamilton winning his second championship in a row and favourite to win a hat-trick this year, these claims could be justified. The lack of competitiveness currently is well known while excitement around the drivers seems in sharp decline too, according to the same survey. Lewis Hamilton did not even rank among the top favourite drivers globally despite his dominant performances. Kimi Raikkonen and Fernando Alonso came first and second. 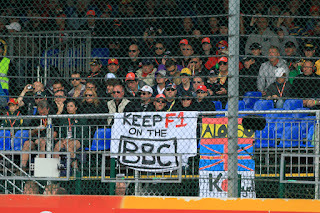 Formula 1's power players over the past few years have been suggesting many changes, but there seems to be a disconnect between what the fans want and what they will get. Louder engines, fuel consumption and car aesthetics all seem to be top of the list when it comes to the changes suggested by Ecclestone and co. 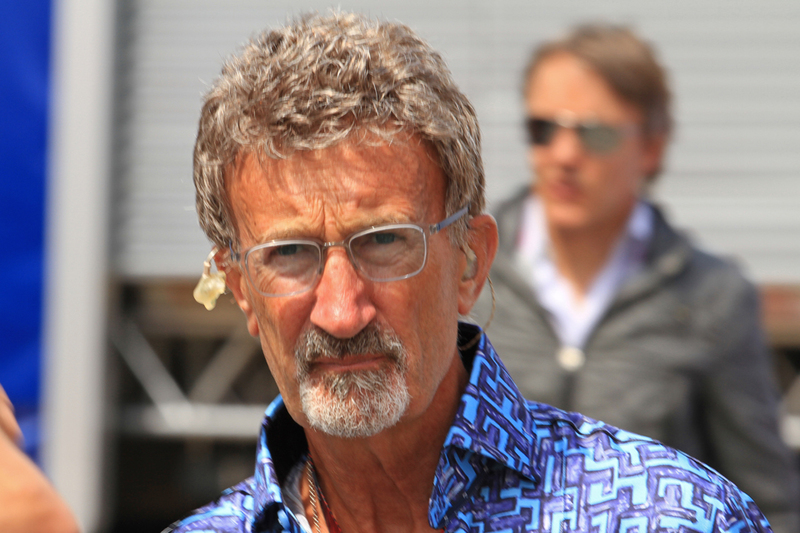 There have been implications too that F1 is looking to shrink the number of teams and increase the number of drivers. This is wrong on every level. What the car looks like or sounds like should all come second to the bare minimum expected. Fans want to see the best drivers, in the best cars, competing at the highest level. Giving Mercedes more drivers right now for instance, will just mean they will finish 1, 2 and 3, instead of just 1 and 2. It seems that the BBC has seen something that others have not. Why else would the corporation facing cuts, chuck Formula 1 in the bin first? 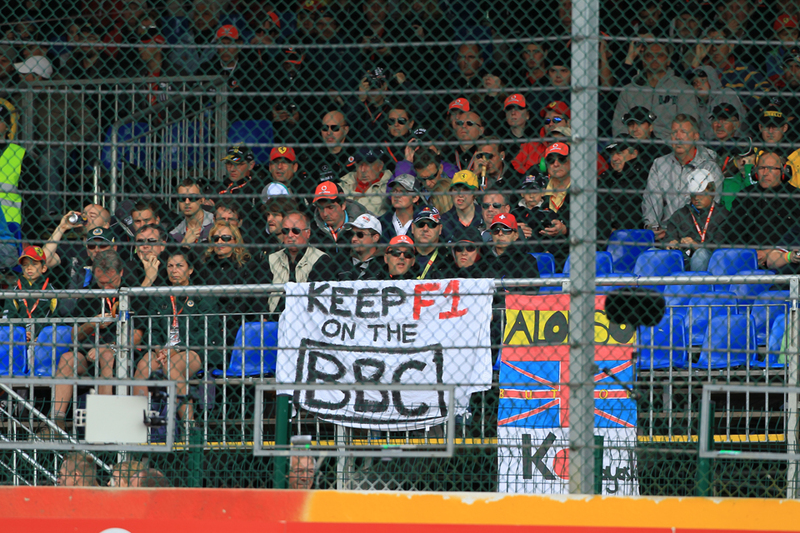 Channel 4 may be hoping that the sport will boost its outreach, but in the BBC's opinion it had more important things in its locker than Formula 1 worth more, and that should be the worry for the powers that be. Are you watching/listening Bernie?